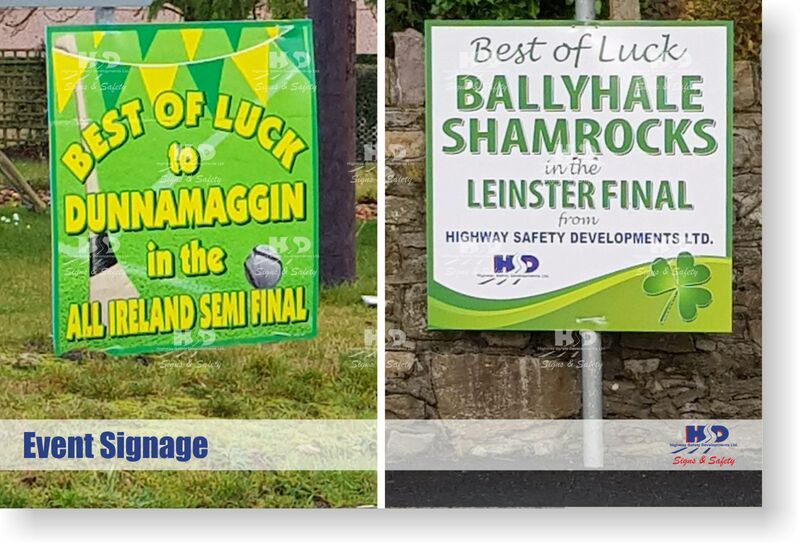 Signs can be produced to any size and used to display a company name with logo, directions, marking entrance or exit routes, or a general advertisement. Our in house design service can assist in creating your sign, company name design with logo or general advertisement. 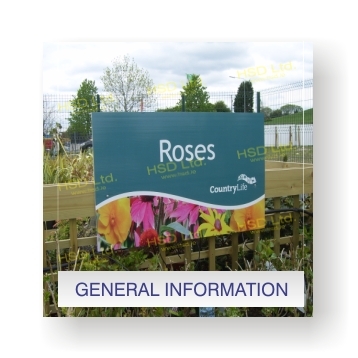 Signs can be produced in a variety of materials from flat plate steel to plastic or corri- board to suit any budget. 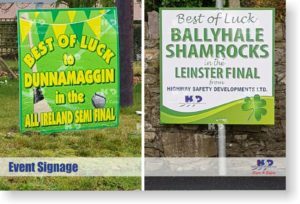 The signs can be simply screwed or glued to a wall or fence or alternatively a bracketing system can be used to erect sign on a pole. Highway Safety Developments Ltd offer a full in-house design facility. Our experienced personnel are available to visit and survey the location, assess the promoters’ requirements and offer solutions. We also offer a full installation service.